Israeli forces detained a number of Hamas affiliates at al-Najah National University. 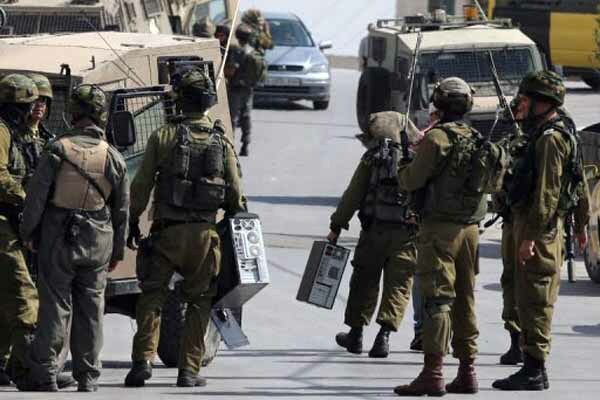 Israeli patrols raided Nablus and detained Hussam al-Bastami from Nablus, Raed Abu Rmaileh from a suburb area in Nablus, Alaa Samih al-Araj from Anabta village east of Qalqiliya, Mohammad Radi Abu Sada from Jayyus village in Qalqiliya, and Samir Abu Shaeib from Awarta village east of Nablus. Hamas said in a statement that the Israeli forces failed to arrest Mohammad Nimer Aseda from Tell village west of Nablus. Mohammad Aseda was not at home when the Israeli forces raided his house. Hamas accused Israeli authorities of trying to influence the results of the upcoming student elections at al-Najah University.